The second season of Netflix's award-winning docuseries will focus on the attorney driving Avery's post-conviction process. “Making a Murderer” is returning to Netflix sooner than expected. The streaming service announced the long-anticipated follow-up season has set an October 19 release date. Filmmakers Laura Ricciardi and Moira Demos have crafted 10 new episodes tracking Steven Avery, his co-defendant and nephew Brendon Dassey, their families, and their legal teams. “Part 2” introduces a new character to the proceedings: Kathleen Zellner, a post-conviction lawyer who has righted more wrongful convictions than any private attorney in America. Backing Avery’s bid for freedom, Zellner uncovers new evidence about what could have happened to Teresa Halbach while examining how and why the jury convicted Steven of her murder. Ricciardi and Demos, who are executive producers, writers, and directors of “Making a Murderer,” also follow Dassey’s post-conviction attorneys, Laura Nirider and Steven Drizin with Northwestern University’s Center on Wrongful Convictions of Youth, as they fight in federal court to prove their client’s confession was involuntary; a fight that could take Brendan’s case all the way to the U.S. Supreme Court. The first season of “Making a Murderer” debuted in December 2015 and steadily grew into a true-crime sensation. Following the unprecedented journey of Avery from DNA exoneree and reformer to convicted murderer, Season 1 took 10 years to film and it only took until July 2016 for Netflix to order more episodes. The original docuseries won four Emmys, a PGA award, and a TCA award. In late 2017, Avery was refused a new trial, and Dassey’s conviction was upheld. 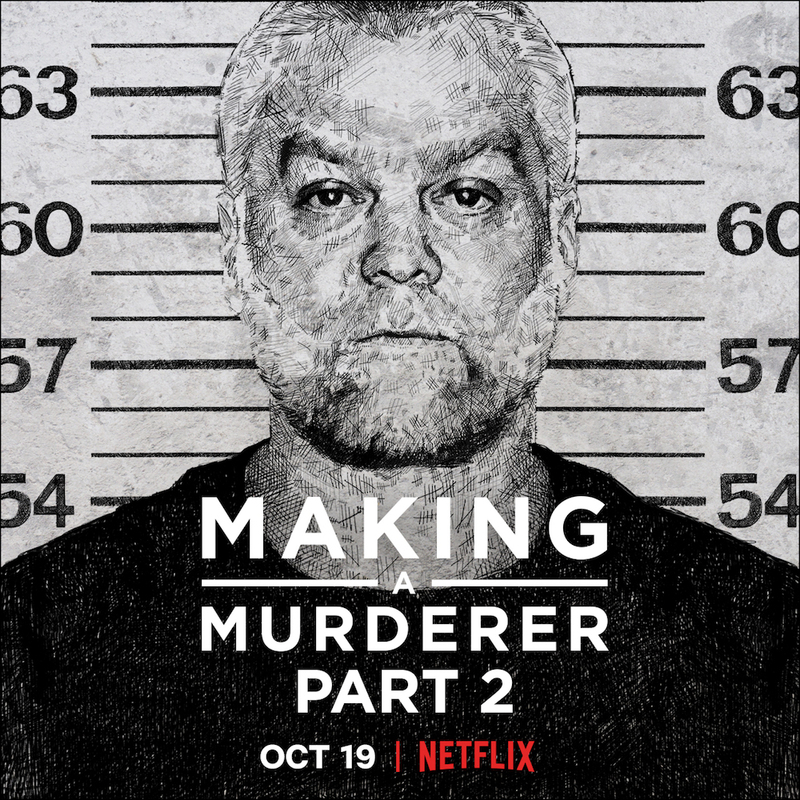 “Making a Murderer” Season 2 will debut globally October 19 on Netflix. Watch the announcement video on Twitter.